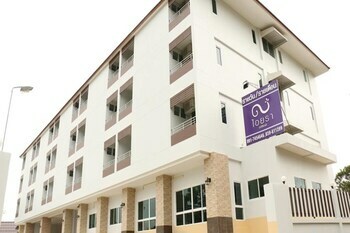 With a stay at Iyara residence in Trat, you'll be within a 10-minute walk of Bangkok Trat Hospital and Tesco Lotus Trat. Featured amenities include dry cleaning/laundry services, a 24-hour front desk, and luggage storage. Free self parking is available onsite. When you a stay at KOH NGAI RESORT TRANG in Ko Ngai, you'll be on the beach, just steps from Paradise Beach and Main Beach. The front desk is staffed during limited hours. Located in Ao Luek, Dusit Phuphaya Resort is a 3-minute drive from Wat Ao Luek Nuea and 6 minutes from Than Bok Khorani National Park. Free self parking is available onsite.